Good puppies grow into great dogs. This cross has proven to produce athletic, trainable family companions. The older siblings used for hunting, excel in the upland cover and waterfowl marsh. 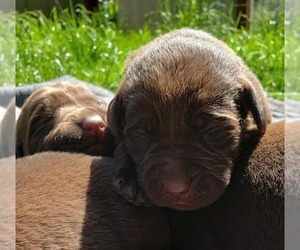 They have grown into dogs a person hopes for in well-bred, socialized, cared for puppy. Both parents Libby and Rocky are used as upland bird guide dogs. Libby is an outstanding family dog, a for real bird guide dog at the Haymarsh Hunt Club, and proven producer of exceptional hunting and family companions. 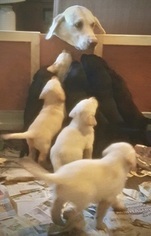 Items Included: These well socialized puppies have dew claws removed, wormed, puppy shots started. 28-month hip and eye guarantee. 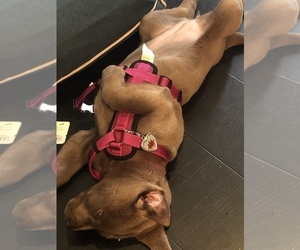 Call today to bring home your new puppy! Blackwatch Wing Commander - Rocky (AKC Reg# SR79136704) See Tiger Mountain Point Labs in Ellensburg, WA. His sire 4XGMPR Wandermers Tazverniti MH. AKC Reg# SR79136704 Rocky is a 67 lb. hunting machine with lots of drive and stamina. A handsome, stylish and fast moving dog with a long range nose, and points hard with a beautiful tail set. 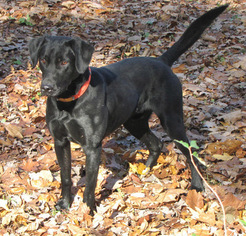 He is everything you want in an upland bird dog. 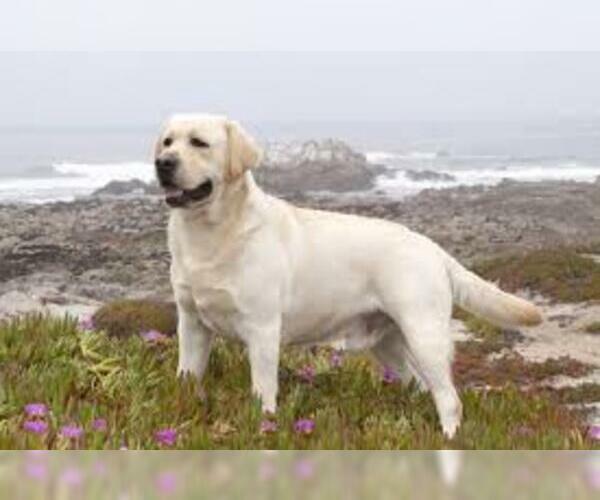 He is also an aggressive retriever (on water and land) with great vision. Rocky is OFA certified and with all his health clearances. Tabers Buckskin Liberty - Libby (AKC Reg# SR75524609) is a 6-year old female out of a Trieven-Sungold male (.trievensungoldkennels) and a Kansas bred female. 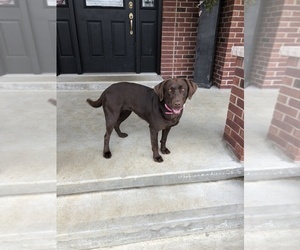 She is an outstanding family dog, a for real bird, guide dog at the Haymarsh Hunt Club, and proven producer of exceptional hunting and family companions. 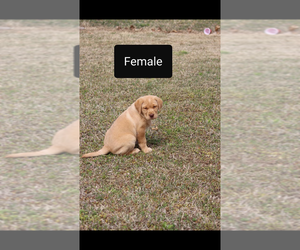 Overview: The Labrador Retriever is probably America's favorite dog. He is playful (well into his adult years) and is often seen as a lifelong friend. Coat: It should be short, straight and very dense, giving a fairly hard feeling to the hand. The Labrador should have a soft, weather-resistant undercoat. A slight wave down the back is permissible. 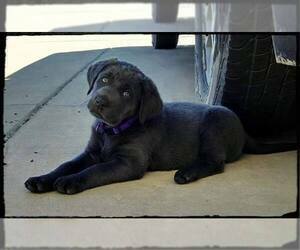 Character: Labrador Retrievers are obedient, sociable, and affectionate. Loyal dogs, they have a very playful nature ' even into adulthood. Temperament: This breed gets along well with children, other dogs, and most household pets. They are not considered to be great watch dogs, however. Care: The Labrador Retriever requires weekly brushing, though twice weekly brushing is needed during times of shedding. Training: This breed learns very quickly and is always eager to please. Training is quite easy. 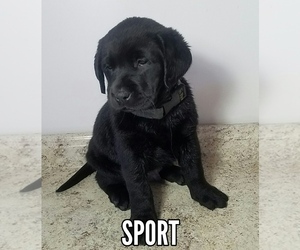 Activity: The Labrador Retriever can easily adapt to the exercise level of your family, but actually needs a lot of exercise, including long walks and field sports. Health Issue: This breed is prone to hip and elbow dysplasia, progressive retinal atrophy, and other eye disorders. Ready to go puppy, 10 weeks old and has had all shots. Will come with AKC fully registered papers. 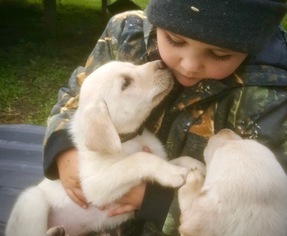 Will be a great family dog as well as hunting dog.